Nature has always been compared to a mother. Like a mother nurtures her child right from its birth, like a mother makes sure that the child gets necessities like food, clothing and shelter, like a mother struggles to keep her child healthy in the same way, Mother Nature has also taken all the care to make sure we live. Nature has arranged for us a place that is conducive in every possible way for life, Nature gave us trees that breathe out oxygen, nature has arranged for our food, made the soil fertile, provided water that can quench thirst and serve other purposes and provided us with minerals, ores, fossil fuels etc without which the world today cannot exist. Nature has been motherly to each and every living being on this Earth right from the beginning. Such a hospital entity, it is difficult to even imagine that it can get destructive as well. But the answer is pretty simple, like every mother, this one also gets angry and when Mother Nature is furious, it is hell unleashed. Nature has its own way of expressing her anger or causing destruction. When the nature turns hostile, there is absolutely no place where life can hide. The nature’s fury is inescapable. The elements which sustain our lives earth, water, fire and wind are the same element which brig the wrath on humans and on every possible thing when the Mother Nature loses her mind. Over the years, there have been hundreds of natural calamities which shook the entire world and which created history with their level of destruction. Each disaster has left the entire human race in sync with the fact that no matter how intelligent we get, no matter how powerful we become, we will always be helpless in front of these weapons of nature. 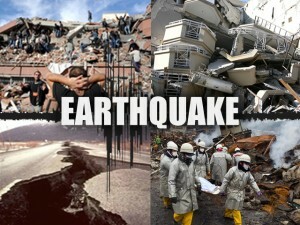 Earthquakes are also called as tremors and it is signaled by shaking of the earth. This movement is caused when strain energy is released from the Earth’s crust suddenly. The point from where the energy is released is called the epicenter and the waves that it generates are called the seismic waves. The strength of an earthquake is measured on Richter magnitude scale and according to this magnitude 3 and below means a weak earthquake while those on 7 are termed as dangerous. Researchers say that every year the earth sees around 5 lac earthquakes out of which only about 1 lac can actually be felt. A study done by US Geological Survey has established that every year there are about 18 major earthquakes and 1 great earthquake and this average has been more or less the same since the year 1990. 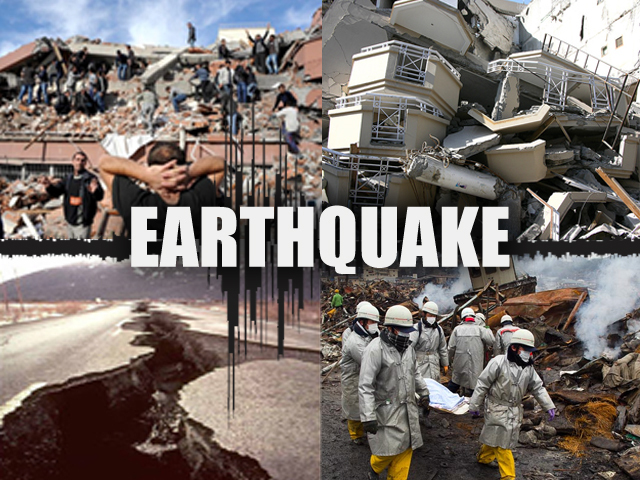 Earthquakes cause destruction a huge damage to life and property as they also invite floods, volcanic eruptions, landslides and even tsunami. One of the deadliest earthquakes in human history is the 2004 Indian Ocean Earthquake that brought tsunami killing around 2 lac 30 thousand people in over 14 countries. 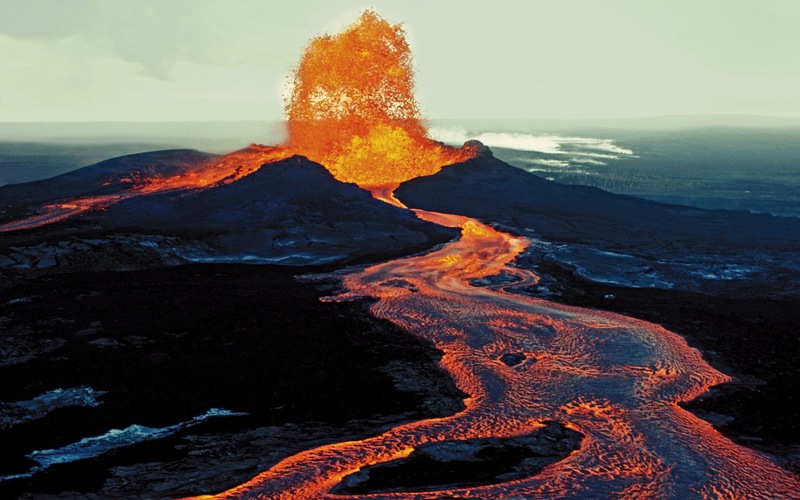 A volcanic eruption is signaled by a rupture or crack in the Earth’s crust that causes the molten lava, gases, ash to reach the surface from the magma chamber. 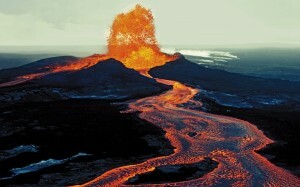 It might interest you to know that Volcano word has been derived from a Vulcan which was the name of Roman God of Fire. A volcano can be active, dormant or extinct depending upon its activity. A volcanic eruption releases water vapor in large concentration, gases like carbon dioxide, hydrogen chloride, hydrogen sulfide as well as sulfur dioxide, stones and debris followed by huge amount of molten lava. A volcanic eruption is followed by hazardous acid rain which causes a lot of damage to health, property and largely to agriculture. The gases releases clog the sky causing disruption to air transport and communication systems. Tornadoes are one of the most destructive forces of nature. It is a miracle of God to see air do such insane tricks. 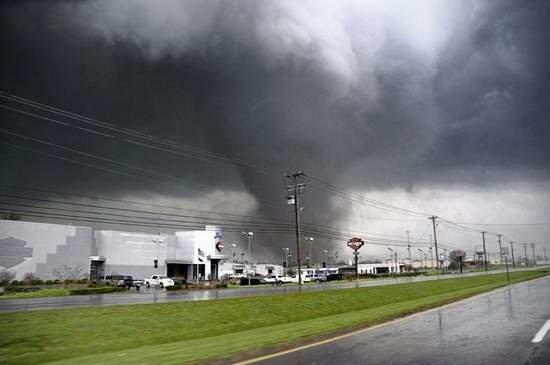 A tornado is identified by a forcefully rotating air column which has its origin in a cumulonimbus cloud and its base right on earth. Most tornadoes have been recorded to have a wind speed of around 177 km per hour and have a width of about 77 meters. These tornadoes travel several kilometers before they actually die. The dangerous ones have a wind speed of more than 480 km per hour and stretch for more than 3.2 km. United States is the country which is most vulnerable to tornadoes. The deadliest form of water is what we call Tsunami and floods. This is when the water changes direction and occupies the land which is otherwise not under water. Tsunami is a higher version of flood. 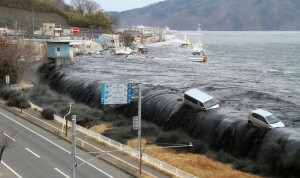 Tsunamis arise as a result of earthquakes when the land movement displaces huge amount of water. The deadliest of the flood or tsunami have death tolls in lacs. The Indian Ocean Tsunami was the deadliest Tsunami while the flood of 1938 due to the Yellow river caused death of more than 5 lac people. China is the nation that is hit by floods the most. It gives goose bumps to even think of facing such a natural disaster. The survivors’ tales send chill down your spine when they describe the monster that was there in front of their eyes. Be it a tsunami r an earthquake, be it a volcano or a tornado, when nature decides to terrorize the beings around there is no stopping it. Every time a disaster hits this Earth, the technology worshiping beings are left with a question that will there be a day when they will be able to conquer this force? With the climate around the globe changing so drastically the natural forces are being even more aggressive. It remains as the biggest task in hand to see for how long we humans can survive.